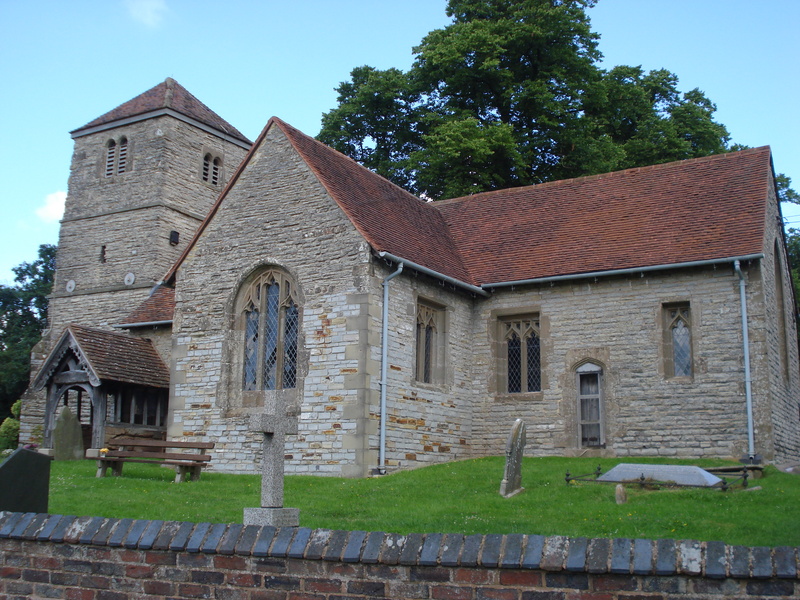 St James Church, Oddingley is part of the Church of England, an Anglican Catholic Church, and as such we observe the Anglican times and seasons. Over the course of the year, the church's appearance changes as we move through the different church seasons, and on some occasions our services will be themed by a Christian feast day, celebration or commemoration falling at or near that day. The Anglican year begins with Advent Sunday, the fourth Sunday before Christmas, which falls in late November or early December. The readings from the Bible that we share in Church run on a three-year cycle, labelled Years A,B and C, so that the same readings should come around once every three years. From 30th November 2014 until 28th November 2015, the Church is in Year B. Fixed dates. Some feasts have fixed Gregorian Calendar dates, for example Christmas (25th December) and Saints' Days (such as St George's Day, 23rd April). These don't move from year to year but move between different days of the week. Easter. Easter occurs on the Sunday after the first Full Moon after the Spring Equinox (which the church takes to be 21st March independent of a country's time-zone) each year. This means that it can move between late March and late April, but it always occurs on a Sunday. Dates determined from other dates. Some church feasts and seasons must occur or begin on fixed days of the week, but their exact date is dependent on the dates of other important occasions. For example, Palm Sunday is fixed as the Sunday before Easter, the day of Advent is the fourth Sunday before Christmas, and Pentecost falls on the seventh Sunday after Easter. At Oddingley most of our services occur on a Sunday, and are flavoured by the particular season the church is in at that time. A rough outline of the Church calendar for the Sundays of each year is given below. The Sundays in each season are listed numerically. Some of the church seasons are of fixed length (for example, Advent always contains four Sundays), whereas other seasons may vary (such as the time between Epiphany and Lent). Principle Saints' days are also included. Advent lasts from late November or early December until 25th December, and always contains four Sundays. It is a season of watching and waiting for Christ, characterised by sombreness and meditation. The colour purple is used at services to reflect abstinence and preparation, and the church is sparsely decorated. Christmas begins on 25th December and continues until 6th January. Its colour is gold to celebrate the coming of Christ, our king and saviour. Epiphany lasts from 6th January until 2nd February, and is a celebration of the coming of the Wise Men to see the infant Christ, and more broadly of the spread of God's message to all peoples through the coming of Christ. Its colour is white or gold. Candlemas on 2nd February commemorates the Presentation of Christ in the Temple. Ordinary Time lasts from Candlemas until Lent, and will vary in length depending on the date of Easter. The colour green reflects the growth of the church through the ordinary course of the year. Lent begins with Ash Wednesday, the Wednesday that falls six and a half weeks before Easter. This is a time of abstinence and meditation, remembering Christ's forty days in the wilderness and the Holy Week immediately prior to Easter (making Lent 46 days long in total), and is coloured purple for that reason. No Gloria is said or sung and decorations and music are sparse or of a sombre mood. Pentecost is also known as Whit Sunday and is a celebration of the speaking of tongues by the Apostles after Christ's death, symbolising the spreading of the Gospel to all lands. Red is the appropriate colour of celebration. Trinity Sunday is the next Sunday after Pentecost, a celebration of the nature of God as Father, Son and Holy Spirit. Ordinary Time resumes until Advent, and will vary in length depending on the date of Easter and the day of the week on which Christmas will fall. All Saints Sunday is the Sunday between 30th October and 5th November, a celebration of all Christians past, present and future. Before this, Sundays are referred to as Sundays 'after Trinity'; after it they are the Sundays 'before Advent'. Christ the King is the last Sunday of the Christian year, one week before Advent.